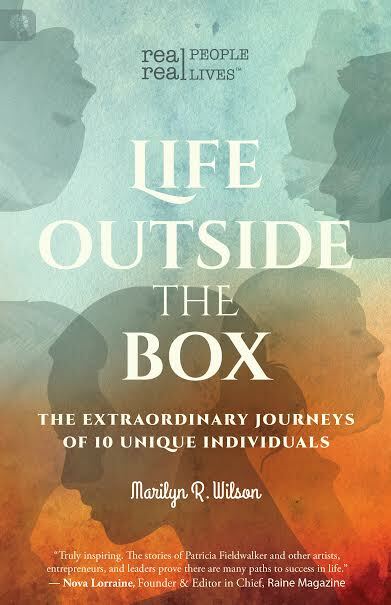 Get inspired to step out of your box and into a world full of potential. From the corporate world, to the arts, to working with the disenfranchised the message is clear. There is no such thing as a normal way to live your life and no one right solution to any problem. Selected from amongst over 100 interviews, the stories shared here open a window on the journeys of seven women and three men who have charted their own path, including Ruthie Davis top U.S. luxury shoe designer and the winner of the 2014 AAFA Footwear Designer of the Year award and Geir Ness whose perfume is a staple in Nordstrom, Disney World and on Disney Cruise Lines. Enjoy a glimpse behind the scenes into the unique ways these individuals chose to deal with life's challenges and how they define success in their careers." Every so often I run across a book that by the time I'm done I just know that it's going into my "come back to this" basket. This was one of those books. All ten stories were of individuals who didn't let life stand in the way of their dreams. This is such an important message for all of us. We all have challenges and struggles and there will be times that it would be easier to give up than to keep going, but I read stories like these and I think to myself, "Hey, if these guys can do it, so can I." I know that when I'm struggling, this is a book that I will come back to time and time again to remind myself to let my drive, determination and creativity flow.